Irish Luck Slots will shamrock you to fortune, with 5 slot reels & 25 paylines of lucky charms to help you grab the pot of gold! 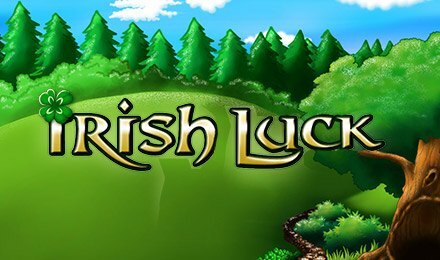 Irish Luck slots has a fun, Celtic theme with a fantasy edge. It’s a standard 5 reel game with 25 potential paylines and the reels are packed with Irish-themed symbols which further enforce the slot’s theme. The Wild symbol for Irish Luck Slots is the four-leaf clover which substitutes in for any other symbol except the two scatters. The scatters in this game are the Fairy and the Leprechaun. The Fairy triggers the Match and Win bonus round when you reveal 3 or more across the reels. Three or more Leprechauns activate the Prize Pick feature. This is a standard Pick Me bonus round where you get to choose a tree stump and receive a prize worth up to 100x your initial bet and potentially free spins too. The Irish Luck slot machine gives players the opportunity to win big whilst also offering some fun bonus features and games.